Good morning Junkies! A fall chill is in the air here in New England today-and what better way to celebrate October and Fall than with a Halloween project. 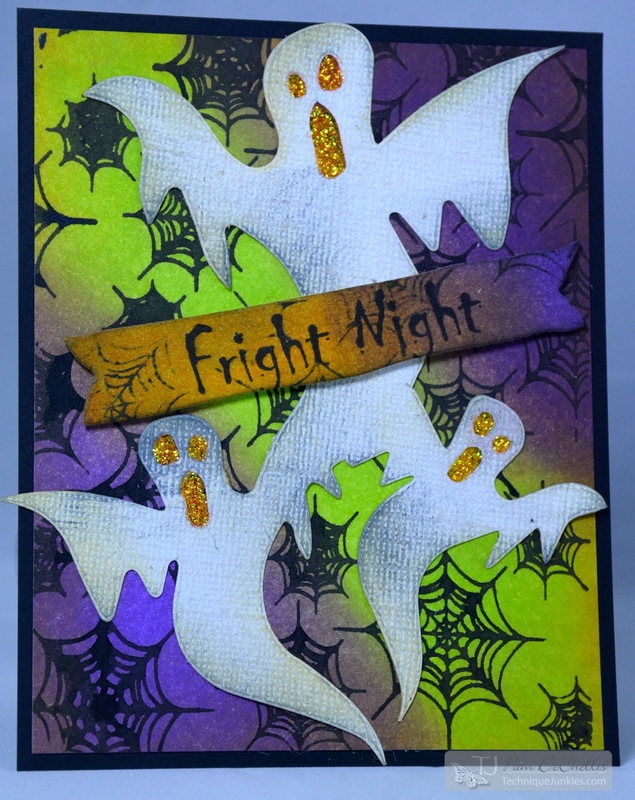 For this card I used the Fright Night sentiment and the Spider Webs for the background. The Spider Web background was stamped with acrylic black paint and used as a resist. Distress ink was applied over top with a blending tool-Twisted Citron and Wilted Violet-2 fantastic colors for Halloween. 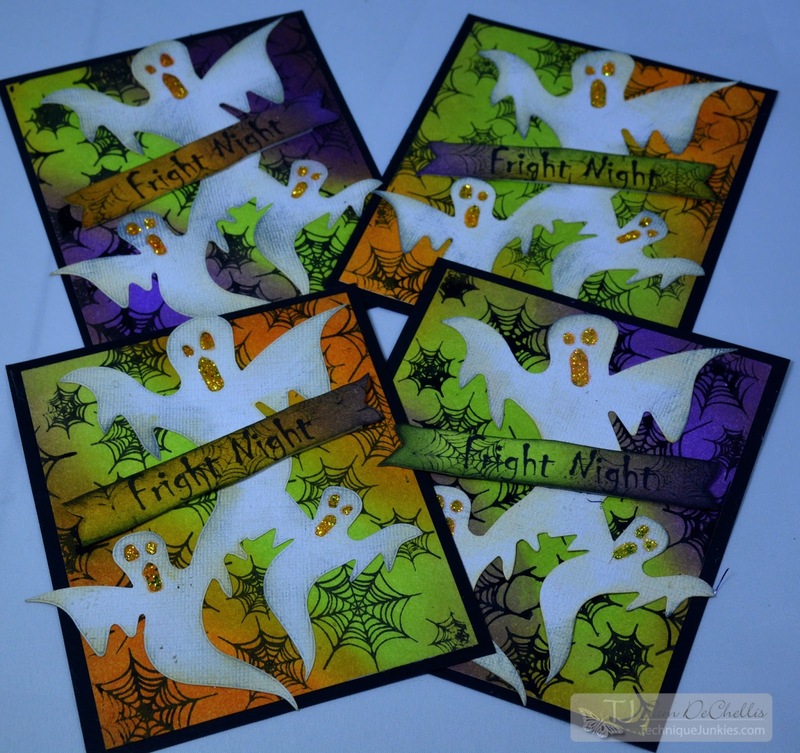 I added the Tim Holtz Sizzix Ghosts die cut -this coordinates so well with this stamped background! Thanks for joining me today and be sure to check back here on the TJ Design team blog for more great inspiration using these incredible stamps!